Elizabeth Barrett Browning (1806-1861) was one of the most respected poets of the Victorian era. She is generally considered one of the great English poets. Her works address a wide range of issues and ideas, including slavery in America, Greek and Italian nationalism, women's rights, and the role of art in society. She was learned and thoughtful, influencing many of her contemporaries, including Robert Browning. Her life's experiences, combined with her moral and intellectual strength, made her the champion of the suffering and oppressed. Her gift was both narrative and lyrical, ranging from sonnets to a verse-novel intentionally 2000 lines longer than Milton's Paradise Lost. Some would say that her work tends to be overly sentimental. Her most famous work is Sonnets from the Portuguese (1850), a collection of love sonnets. 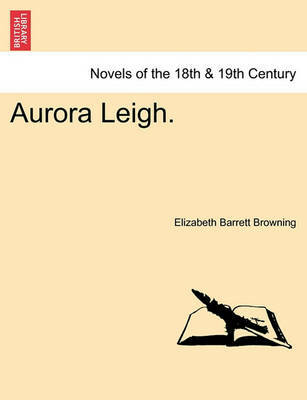 The verse-novel Aurora Leigh, her most ambitious, and perhaps the most popular of her longer poems, appeared in 1856. It is the story of a woman writer making her way in life, balancing work and love. 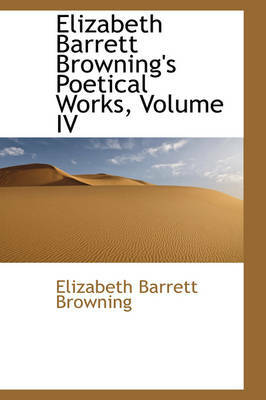 Buy Sonnets from the Portuguese (Dodo Press) by Professor Elizabeth Barrett Browning from Australia's Online Independent Bookstore, Boomerang Books.